It’s a funny thing, this July 4th we are supposed to be celebrating our “independence” from a tyrannical form of government where property rights were not honored and liberty was not valued. Do you feel “independent” from these things today? I don’t. 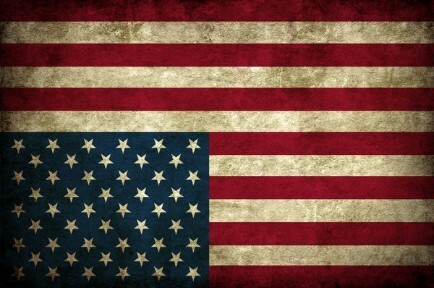 In fact – I feel like the Republic is in serious distress, hence the upside down flag at the top of this post. The whole point of declaring independence from England was to create the freest society possible that singularly focused on the protection of individual rights, something no society in the world had ever attempted until that time. They knew people should be able to live and let live as long as it didn’t hurt anyone else. People are upset about this healthcare decision, but should be enraged about the principle of either a “mandate” or a “tax” in any instance. Both represent the unlimited power of the STATE which knows no bounds, and that remains the issue. People have grown pretty accustomed to these concepts – dismissing them as disappointing or inappropriate, but not much more. But they are so much bigger, and can’t be dismissed. Both inhibit personal and economic freedom, and both remove property from us by force. This kind of all-powerful STATE is exactly why people engaged in treason in the first place. It’s why independence from England was needed . Our rights as humans, not as Americans or anything else – no, the rights we have merely because we exist are being infringed upon by an all-powerful STATE. Just because a government passes a law allowing for a federal income tax or any other liberty killing measure doesn’t make those things right. Just because a majority of people come together and agree to take things from a minority or even an individual doesn’t make it right. We should view “mandates” and “taxes” in the same way – coercive, forceful and destructive. The STATE remains our enemy. Do not trust any one man or group of men to protect your rights. Do not think for one second someone is going to ride into DC, and magically make everything better – they will not. The power of STATE has become more centralized than ever, so to protect rights – only free people, free individuals can fix this problem. Change will come when enough individuals stop trusting in parties and politicians, and realize – it is all about the individual. And, a group of individuals willingly and voluntarily working together for mutual benefit, without any form of STATE coercion, can accomplish amazing things. So every day, and especially on July 4th – don’t leave America in distress. Do not give in to evil, but proceed ever more boldly against it. Collectivism is that evil. Stand boldly for individualism. Stand boldly for freedom. Resist tyranny with every breath, and join me in a life mission to deconstruct our enemy – the STATE. Here is a video called “Taxation is Theft” which illustrates this concept of STATE force and coercion quite well. Even using coercion for the noblest of reasons is wrong. Resist it with every breath. Long live the R3VOLUTION! !